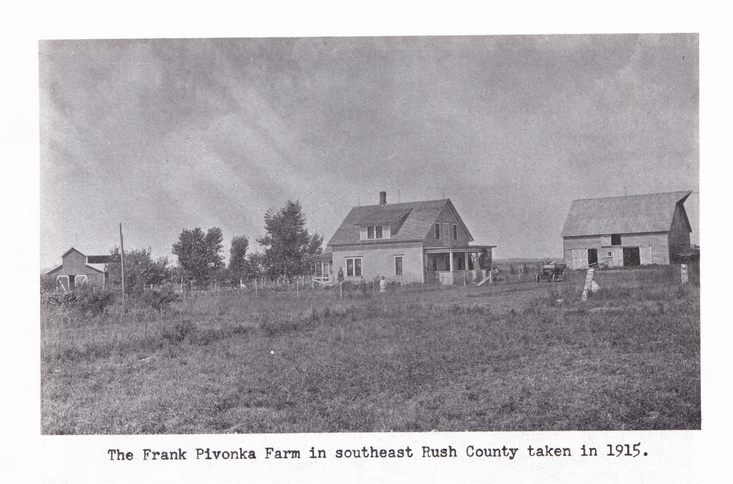 The Frank Pivonka Family, around 1937. Seated: Leo, Mr. Frank and Mrs. Mary Bizek Pivonka, Clara. Standing, L to R: Thomas, Louise, Sister M. Simeon (Alma), Charles A.